Life is an adventure, if you allow it to be. So many people are too busy with life that they don’t stop to enjoy it. Then it’s over and they live with regrets. I could never accept that so I try to do rather than say. Meaning if I say it, I do it. In most cases I don’t even say it, I just do it. This past week I had the pleasure to be on My Faith Radio, American Family Radio and Cole Hatter (podcast to air in June). It’s such a blessing to share my story and describe the impossible to such a wide audience. The more I share the more I realize the humility that goes into climbing; I could NOT do it on my own and surrendered to God for His help. Thankfully He answered! Most climbers can relate as they are nothing compared to such grand peaks. It’s hard work and you have to stay focused to persevere the many struggles of mountaineering. 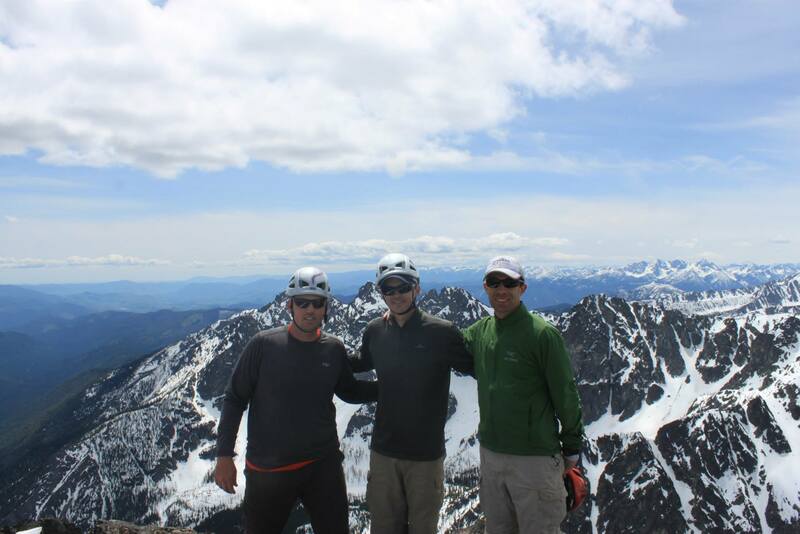 This past weekend a few friends and I drove 4 hours to the North Cascades and climbed Big Craggy Peak (8,470′). 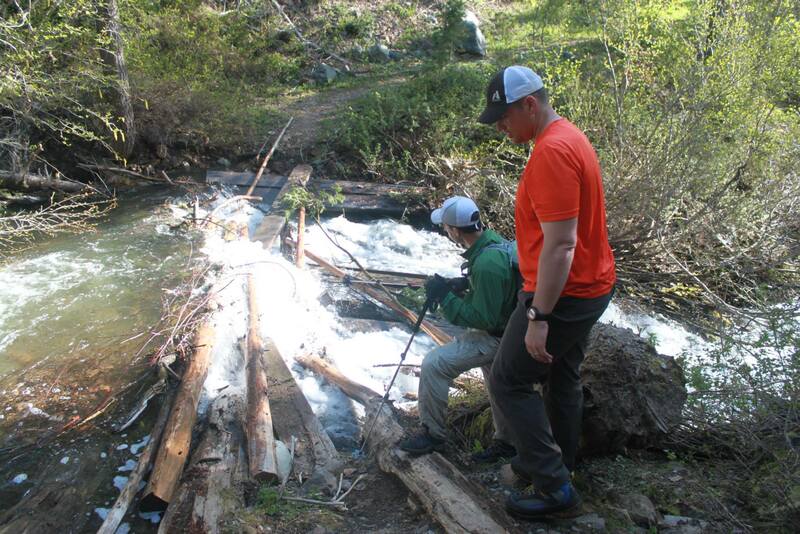 Due to the early season the creeks are raging and knocked out the bridge to access the peak by trail. We decided to bushwhack up the side and look for an easier area to cross. We ended up peaking out at just under 6000′ on Sherman Peak. 4 hours of climbing, navigating and creek negotiations will take it’s toll, but we decided that it was safer to descend and reassess. We could have packed it up and drove home or found another smaller peak, but we discussed a plan to attack the mountain down by the trailhead where we could drive down further to avoid the raging creek. 4 long hours later of bushwhacking, post holing (deep snow) and scree (loose rock) climbing, we stood on the summit. By embracing humility we accepted the terms of the mountain and by remaining focused we pushed through to our objective. There’s great satisfaction in never giving up and accomplishing a task!